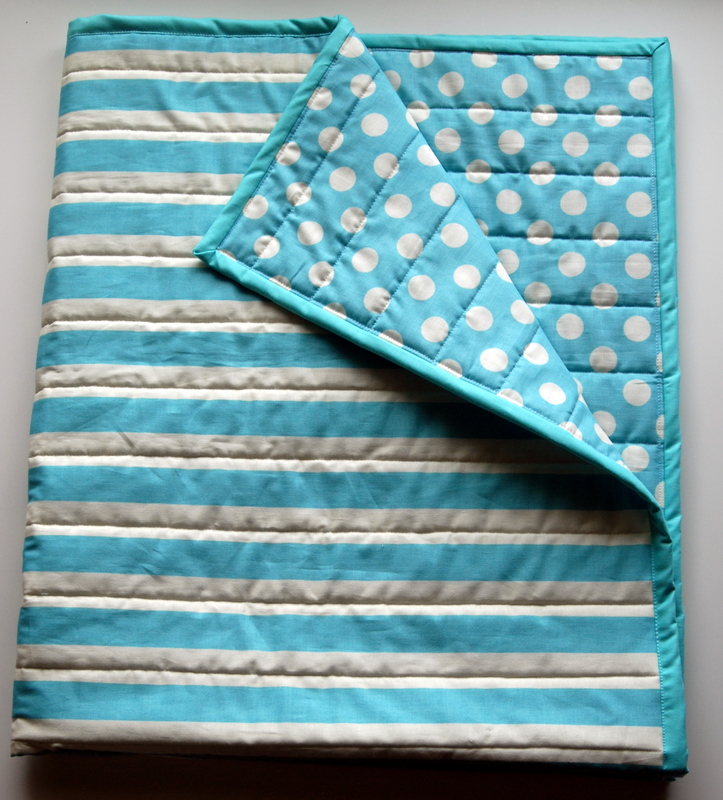 I love whole cloth quilts for babies! 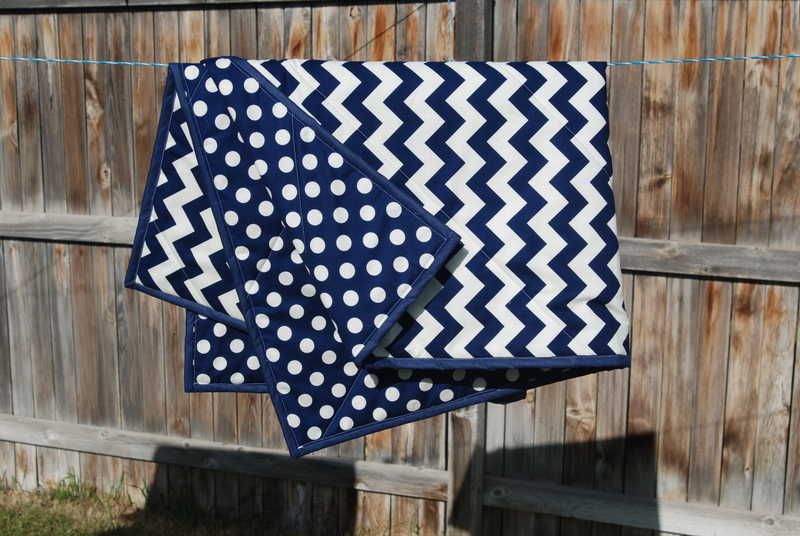 Whole cloth quilts are quilts made from a single piece of fabric. They are super easy and come together quick! A perfect quickish present. I say quickish because sometimes quilting it takes a while, but still, no piecing = faster. Both these prints are from Riley Blake. 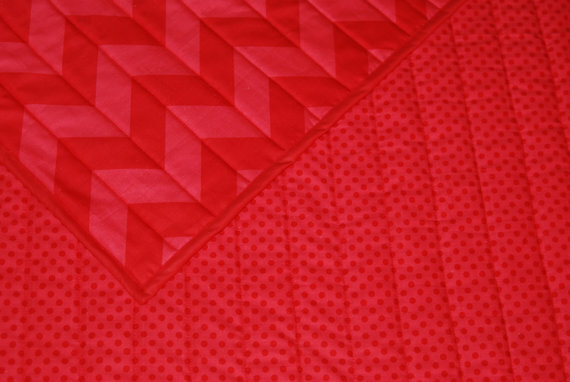 I simply quilted down the lines on the fabric, which kept my stitching pretty straight. 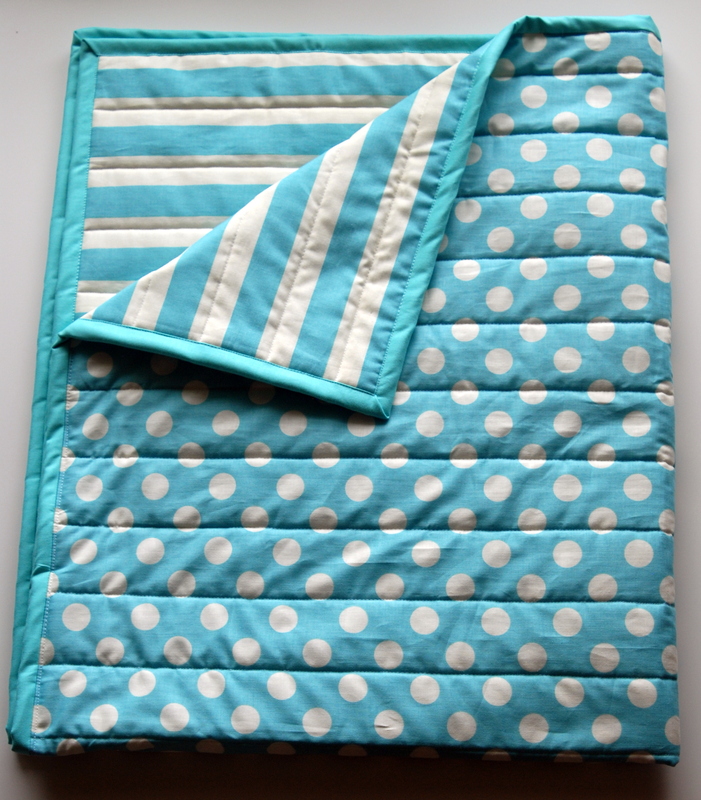 I love this quilt for a boy or a girl! How is this next one for bright? But seriously, I kind of love it. This one I counted out how many little squares there were total, and decided how far apart I needed my quilting and then chose the closest number of squares to quilt on. It was ten. (Maybe that made no sense. It was just my long way of saying I quilted it every ten little squares.) Easy! Awesome fabric by Robert Kaufman. This next one is still a favorite of mine. 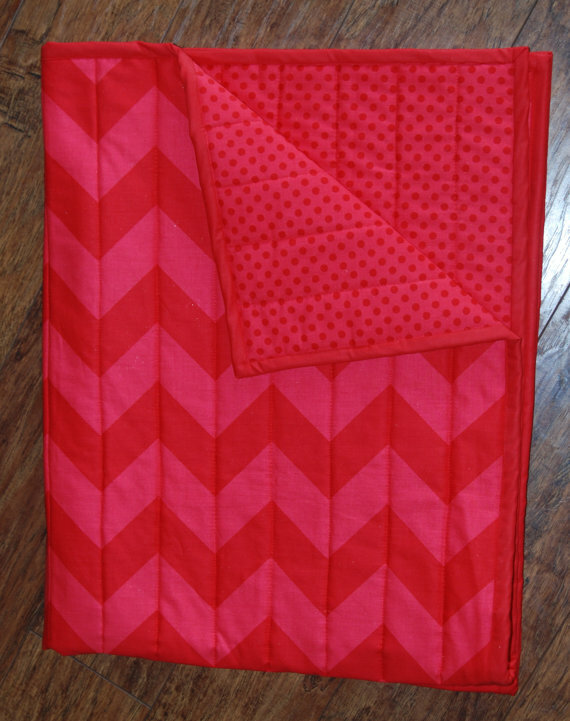 I mean red + chevron + polka dots, what is not to love? Surprise! More Riley Blake fabric. (They have my number.) I quilted this one vertically down the chevrons. I was really happy with how it turned out. This final one was a gift to a friend’s sweet baby (from this post) and looked lovely! More Riley Blake fabric action. 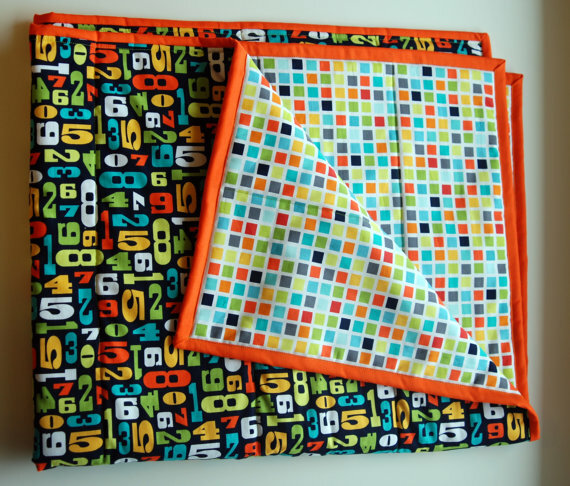 They make great fabric in general, and excellent choices for whole cloth quilts! I quilted diagonally on the chevrons. Simple, looks good, and fun!